If you only trade in stocks, even if usually get the market direction right, you are missing out on some important techniques that can help you protect your wealth. One of these is using Contracts For Difference (CFDs) to hedge against adverse circumstances. i.e. using the product as a risk protection mechanism over your stock market portfolio. Hedging is the term used when you invest to reduce your risk. When you trade down your risk, it usually means that you limit your possible gains, but market anticipation will allow you to take the appropriate action. Contracts For Difference are a derivative, and are basically contracts that allow payment when a share or other security changes in value, whether up or down. When you enter a contract, you decide which way you anticipate the market going, and if you are right you get paid as if you had owned (or been short on) the share. If you are wrong, you can lose as if you owned the share too. The strength of CFDs is that you do not need much money to enter the trade, as your money is leveraged. CFDs can be utilised to hedge an existing shares portfolio. As opposed to liquidating or selling your holdings during a period of generally falling prices or volatile market conditions, you can easily hedge potential risks by selling the equivalent position using contracts for differences for a period of time, effectively securing insurance protection for your stock investments at little cost. If you want to hedge a £150,000 portfolio using CFDs, the process is simple. You take an opposite position with the CFDs to the shares in your shareholding which you think may have a temporary retracement. 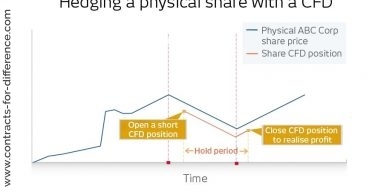 CFDs suit the hedging of individual shareholdings because investors can take a ‘short’ CFD position over the exact number of shares they hold. Your shareholding might have grown over the years, and you are concerned that the market is about to turn and wipe out some of your gains. You can simply go short with CFDs, and if the prices fall as anticipated the CFDs will gain, countering the losses. Let’s suppose you have a £150,000 share portfolio covering some of the main blue chip shares in the FTSE 100 index, split up in 10 tranches of £15,000 each. You could for instance own £15,000 worth of Vodafone shares and £15,000 of British Airways. Instead of selling the shares directly into the open market, you decide to open two CFD short positions in Vodafone and British Airways for a short exposure of £15,000 over each. The deposit requirement to open these two short positions would typically amount to about 10% of the market exposure i.e. £3000 would be needed to setup this CFD hedge. Why would you want to do this, rather than just selling the shares and buying them again later? The obvious reasons are that you would attract capital gains if you got rid of your shares, which you otherwise wouldn’t have to pay until you finally decided that you did not want to keep them. When you add in the costs of trading and stamp duty, you can see that hedging with CFDs against a possible loss makes good practical sense. Assuming that you are right and the market does fall your losses in your shares portfolio would be offset by your CFD short positions and here you can appreciate the powers of using CFDs as a risk management and hedging tool. CFDs don’t have to be risky and it is the way you utilise them that matters. The other method that has been used in the past to hedge shareholdings against losses is to use options or futures. 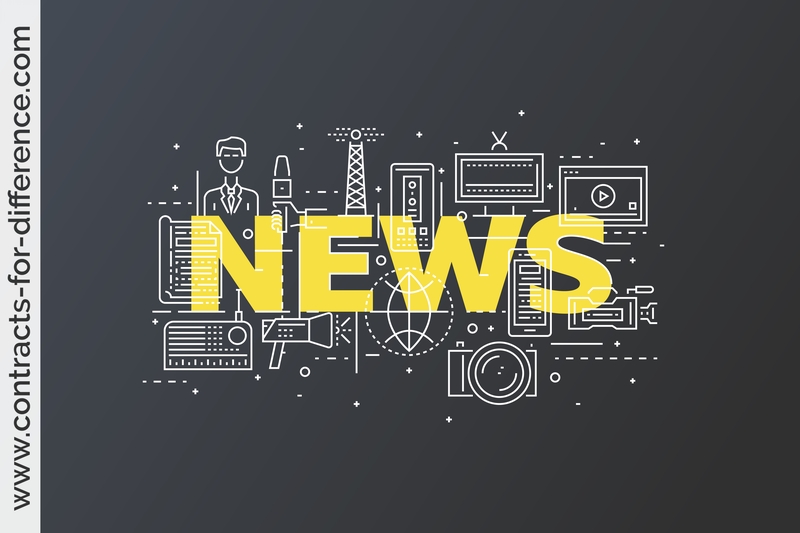 This does not work out as well as using CFDs, because CFDs have no set time limit, whereas options expire and need to be renewed to keep your position. Another problem with using options is that you must buy in set quantities, and therefore cannot exactly balance the trade with the number of shares that you own. You may either be over or under hedged. CFDs can be bought in the same numbers as your shareholding. An incidental advantage of this hedging strategy is that you are paid interest on a daily basis on the short CFD position while you hold it. The interest rate is not much, perhaps 2% less than the standard bank rate, but it helps. The downside is that if the shares go up instead, the gains you make by holding them will be countered by the loss on the CFDs. You are covering your risk, but at the expense of possible gains. 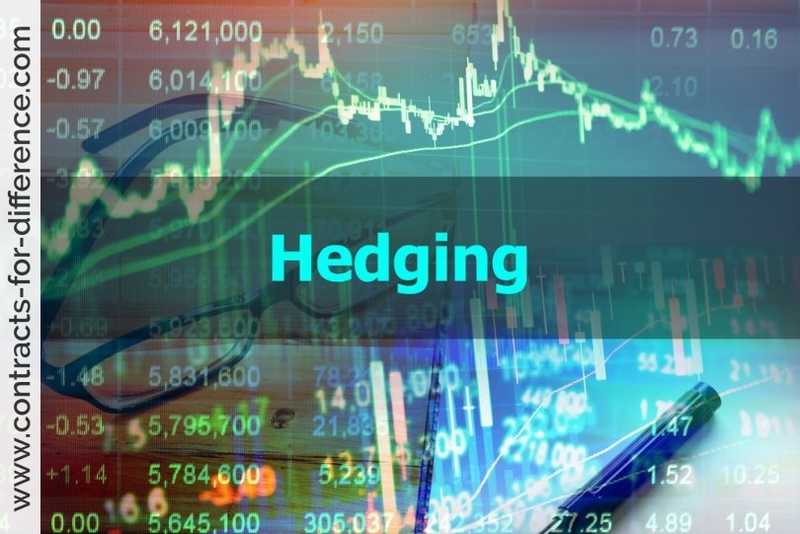 Note that in practice you can use both spread betting and CFDs for hedging purposes, however CFDs are often favoured by investors in such instances. This is because while any gains you make from trading contracts for difference will be subject to capital gains tax, if you get it wrong and you incur a loss you can at least offset this against other gains.